:With pundits asking, "How did he win?" this book explores whether there was a supernatural element involved. Christian leaders prophesied before the election that God had raised up Donald Trump to lead the nation through a time of crisis. But could this billionaire reality-TV star actually convince the voters he was for real? If so, what is God doing now not only in Donald's Trump's life, but also in the nation? Trump is an enigma, a brash self-promoter, casino owner, and man of the world. Yet he is also a devoted husband and father who has surrounded himself with men and women of faith and has made religion a key component of his image. God and Donald Trump is a powerful first-person account of one of the most contentious elections in American history, with exclusive interviews and insightful commentary from the men and women who were there. 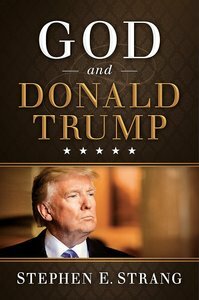 About "God and Donald Trump"